Sorry folks, off work this week so not at the pc much. "I say, what a wonderful butler! He's so violent!" 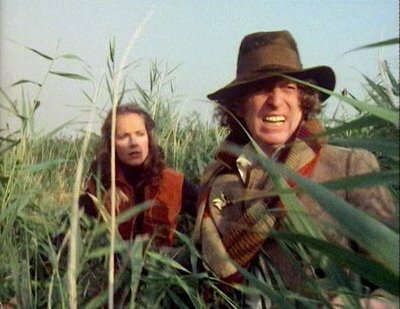 The Doctor and Romana are enjoying a holiday in Paris, 1979, when they become aware of a fracture in time. During a visit to the Louvre to see da Vinci's Mona Lisa, the Doctor purloins from a stranger, Countess Scarlioni, a bracelet that is actually an alien scanner device. He, Romana and a private detective named Duggan are then 'invited' to the chateau home of Count Scarlioni, where they find hidden in the cellar six additional Mona Lisas - all of them originals! The Count is revealed as an alien called Scaroth, last of the Jagaroth race. He was splintered in time when his ship exploded above primeval Earth, and in his twelve different aspects has since been guiding mankind's development to a point where time travel is possible. Professor Rumford : "But I still don't understand about hyperspace." The Doctor : "Well, who does?" The Doctor : "Shut up, K9!" City of Death - I loved most of Stones of Blood, but I thought it fell off a bit in the second half. City of Death by a country mile. Arguably one of Tom Baker's finest. "I like your butler - he's so wonderfully violent"
The Doctor : "Well, you'd better introduce me." 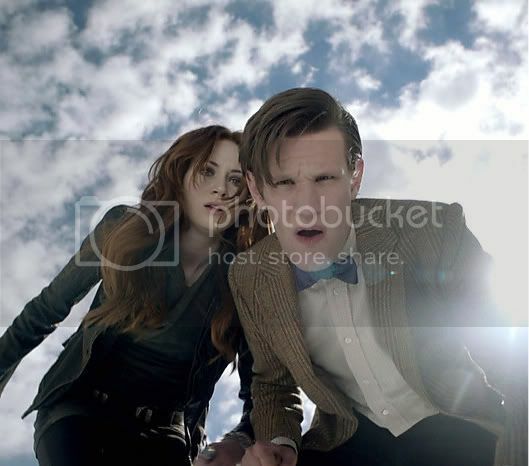 The Doctor : "Oh, I don't know, a wise and wonderful person who wants to help. Don't exaggerate." Romana is meanwhile taken prisoner by the green-skinned natives, the Swampies, who decide to sacrifice her to their god Kroll as a prelude to an attack on the refinery. "... the localised condition of planetary atmospheric condensation caused a malfunction in the visual orientation circuits. Or to put it another way, we got lost in the fog." I've only seen Horror of Fang Rock out of those two so that's where my vote has to go.